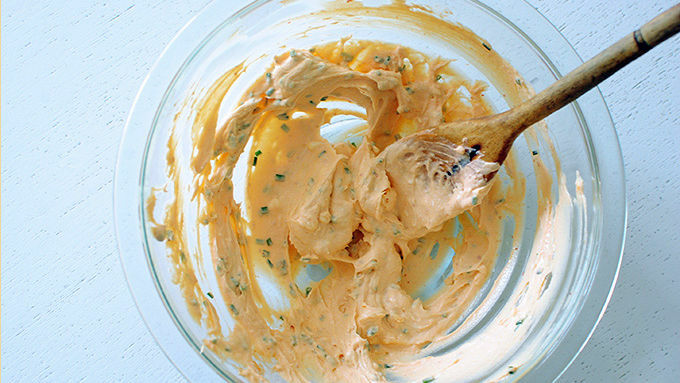 In a large bowl, mix the cream cheese, chives and sriracha sauce. Arrange the wonton wrappers on a flat surface. Dollop about a teaspoon of the cream cheese mixture in the center of each wrapper. Dip your finger in a little water and run along the edges of the wrappers. Pull the edges together and twist to seal. Continue until all the wontons are filled and sealed. Bring the oil to high heat. 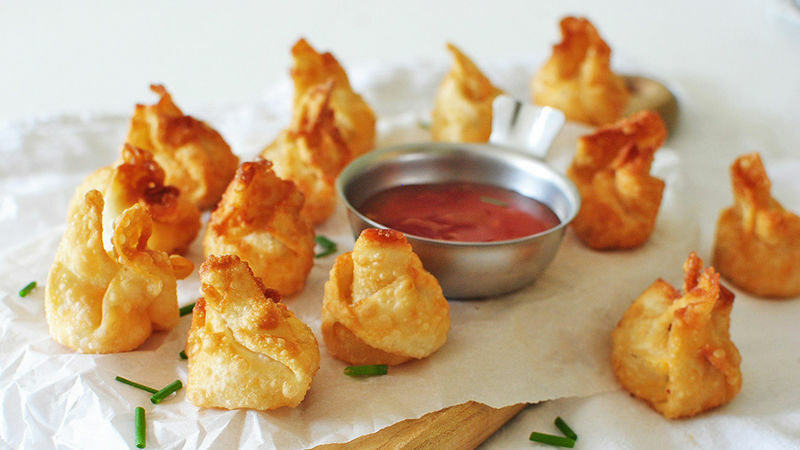 In batches, fry the wonton bombs until golden brown and crispy, about two minutes per batch (or less). Continue until all the wonton bombs are fried. Place them on paper towels to drain. If you use a whole block of cream cheese, just double the rest of the ingredients. 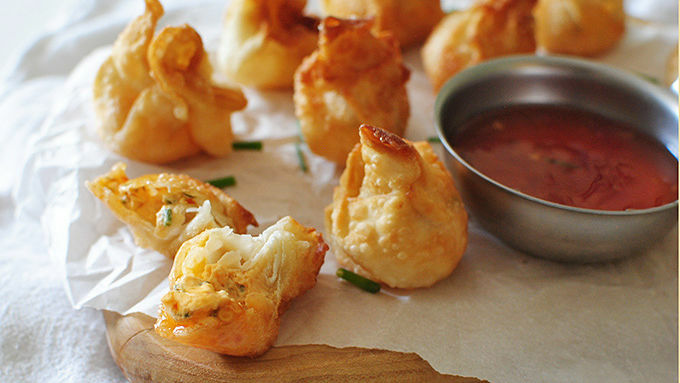 Wontons stuffed with sriracha cream cheese. It happened. This is a freaking game changer. And I mean fa-reaking. You might not think a spoonful of chives and sriracha sauce would do much to some softened cream cheese. You would be wrong. It does a lot. 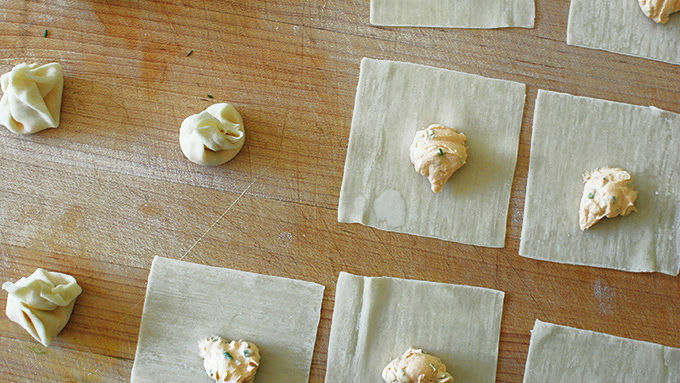 You might not think that stuffing some wonton wrappers with said spiked cream cheese would be a good idea. Again, you would be mistaken. You might think twice about dropping those wonton purses filled with the blissy cream cheese into some hot oil and gettin' them good and golden brown. And crispy. But don't think twice. Please do not. Let's do this before I lose my mind.